What's in the mix for a great wine tasting event this summer? 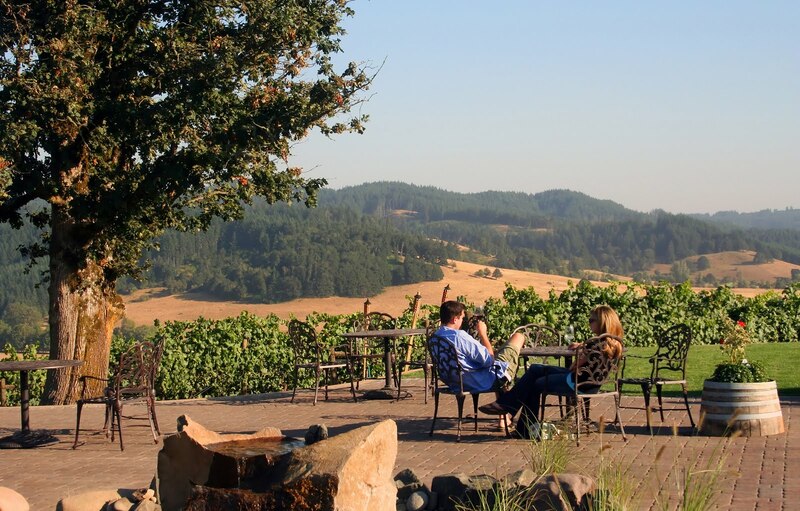 The perfect pairing: awe-inspiring wines and not having to drive; and that's what the South Willamette Wineries are serving with three all day Barrel Tours this June. 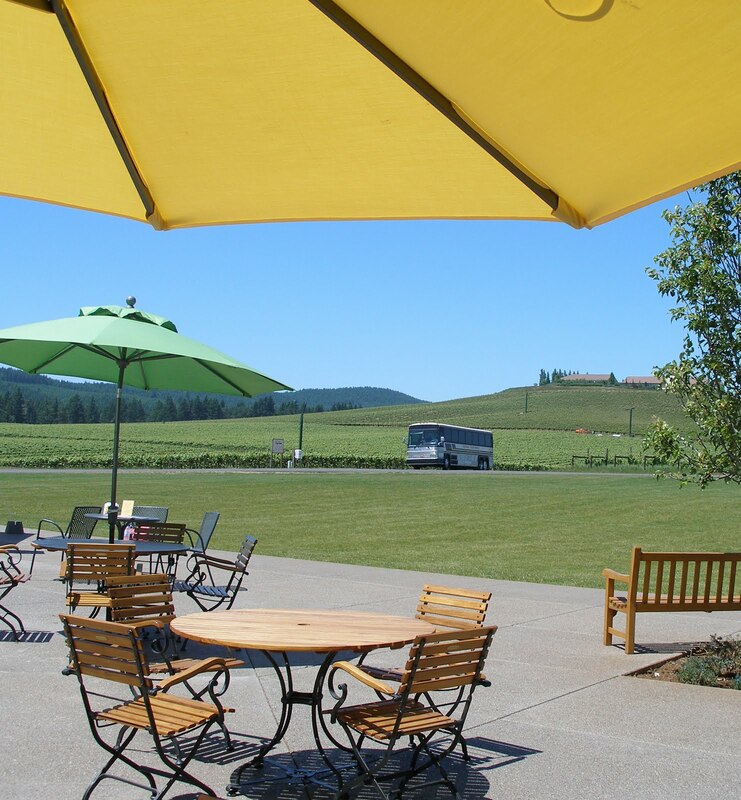 Attendees will board a deluxe charter bus and venture into the wine country near Eugene for tantalizing tastes, food pairings and wine education. After a day in the vineyards, you will return to town a-buzz with love for the Pinot Noirs, transfixed with the Gris and craving more of the region's ever-flowing wine hospitality. In its ninth season, the South Willamette Wineries Association hosts Barrel Tours to the local vineyards to showcase the wines to new guests and old friends. Stopping at four wineries, the winemakers and owners greet the bus loads with three wines paired with gourmet appetizers. You don't have to be a wine know-it-all either to attend because treasured tidbits of wine education are also provided along the way. By the end of the tour you are sure to even hold your glass like a pro. This year the area plays chauffer to hundreds of awaiting, hungry wine connoisseurs at three barrel tours (June 4, 18, & 25). A family owned winery and vineyard focused on sustainability, Benton-Lane Winery produces Pinot Noir, Pinot Gris, and small amounts of Pinot Blanc and Chardonnay. The vineyard located in the foothills of the coast range on an old sheep ranch stretches for 138 acres. Sealed with a stamp on the label, you'll know when you’re drinking a Benton-Lane wine. wines, but also creating a generational reputation of excellence in the craft. The former winemaker for King Estate, Ray cultivates quality, handcrafted Pinot Noir, Pinot Gris, Sauvignon Blanc and Gewurztraminer. Beyond just their simply sweet Rosy Cheeks and rich, full-bodied Pinot noir, Sweet Cheeks Vineyard knows how to show off. Perched on top of a rolling hill of vines, the winery dazzles with breathtaking views of Briggs Hill Valley and the sprawling 65 acre estate vineyards. One of the newest additions to the region, Sarver Winery is the brain child of a husband and wife team from Michigan. With small production wines that highlight the vineyards fertile Jory and Willakenzie soils, the winery grows White Riesling, Pinot Gris, Pinot Noir, Early Muscat and Gewurztraminer. Champenoise, honed with the skilled winemaker’s expertise, blows corks. With harvest and Oregon’s cool climate, brings Pinot Noir, Chardonnay and Pinot Meunier to this vineyard just west of Fern Ridge Reservoir co-run by owner Ed "Buzz" Kawders and winemaker Raymond Walsh. With a Pinot Noir to please the President, Pfeiffer Winery is a exquisite family based winery nestled off a country road. A must-see tasting room welcomes visitors with surprise, but the high quality Pinot noirs and white flight are what keep people coming back. The solar operated tasting room also mimics the winery’s reach for sustainability and quality. 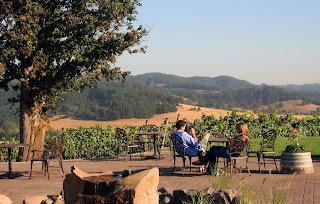 The oldest winery in the South Willamette Valley, LaVelle Vineyards serves a wide variety of wines from classic Oregon Pinot Noirs and a Dry Riesling and two big, bold reds from the warmer AVAs of the Columbia Valley. All in the family, the vineyard was founded by Doug LaVelle and his son Matthew LaVelle in 2008 took on the grapes as winemaker. With an all-hands-on-deck winemaker, High Pass Winery pours lovely, light whites to savory Pinot Noirs and dessert wine varietals to tingle the sweet tooth. From the planting to pruning, harvest to aging, Dieter Boehm, cultivates with care and passion the vineyards to create choice, quality wines. Barrel Tour tickets cost $60 and can be purchased here. The buses leave from the parking lot between Macy’s and the Valley River Inn in Eugene at 10 a.m.